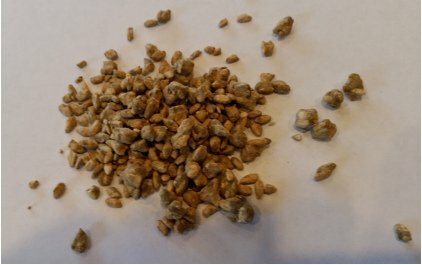 First “Special Ginjo” Koji-kin for homebrewers! 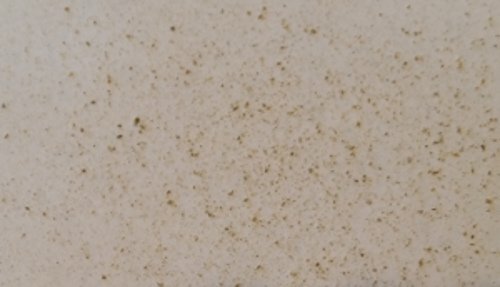 We have just added the Akita Konno “Special Ginjo” koji-kin to our offerings in the store. This new koji-kin has been developed at one of Japan’s leading koji-kin suppliers specifically for making Ginjo sake. Unlike most koji-kin available for homebrewers, Akita Konno’s special ginjo koji-kin is specifically for making sake. We provide two 1 gram packets, each of which will make more than 3 lbs. That’s enough for two standard batches of sake. The instructions provided have been reviewed by Akita Konno to insure the information given meets their high standards. 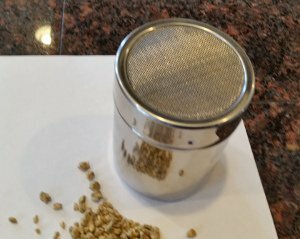 Author WillPosted on October 23, 2011 March 10, 2019 Categories Ingredients, KojiTags buy koji-kin, Koji-kin, koji-kin for sakeLeave a comment on First “Special Ginjo” Koji-kin for homebrewers! Brief introduction to how sake is brewed. Sake is brewed in a strung out process that can take quite a long time but none of the steps are particularly difficult. In the traditional method, brewing sake starts with the rice and its milling. The objective is to remove the outer layers of the rice which cause sake to be less stable and to have harsher flavors. These layers contain the bran and the highest concentrations of oils, fatty acids, proteins and minerals like magnesium and iron. Table rice (white rice) is generally milled to around 93% of its original size. Sakemai (Sake Rice) is usually milled somewhere between this for futsu-shu (table sake) and 35% for the most refined Daiginjo. Removing these components leads to a more stable and refined sake.